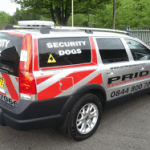 Pride GB provide keyholding, alarm response, mobile security, static security, and security dog services to Stafford and the West Midlands. Our expertise makes us ideally placed to ensure the security of facilities such as retail parks, construction sites, council buildings, factories, industrial estates, and void buildings. Pride GB provides NASDU qualified security handler teams to deter thieves and vandals. 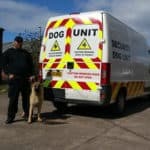 As one of the few security companies that is accredited for the use of trained security dogs, we have the skill and dedication to keep your premises secure against intruders. Our mobile patrol service is designed to provide an effective and highly visible deterrent. Ideal for those who do not require constant security, our professional, uniformed, and highly trained officers can patrol your premises when required. 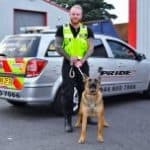 Pride GB has an outstanding reputation providing keyholding and alarm response services in Stafford. Our service is operated in accordance with British Standards and we ensure a rapid 24/7 alarm response to handle any incident professionally and keep your property safe. Get in touch with Pride GB today to discover more about our security services in Stafford and learn how you can keep your property secure.